Congratulations to Ripley Patton, whose competition entry for a book entitled “Over The Rim” took a whopping 63% of the votes. 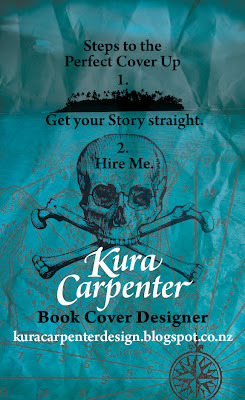 Ripley has won a custom cover design package from Kura Carpenter, courtesy of SpecFicNZ. Well done, Ripley, and congratulations to our 2nd and 3rd place entries, Mary Jones with Hathe, and Mike Reeves-McMillon with Mama Bear, for making it to the final three. Thanks to everyone who took the time to read the entries and cast your votes. Keep an eye out here for more exciting contests coming soon!